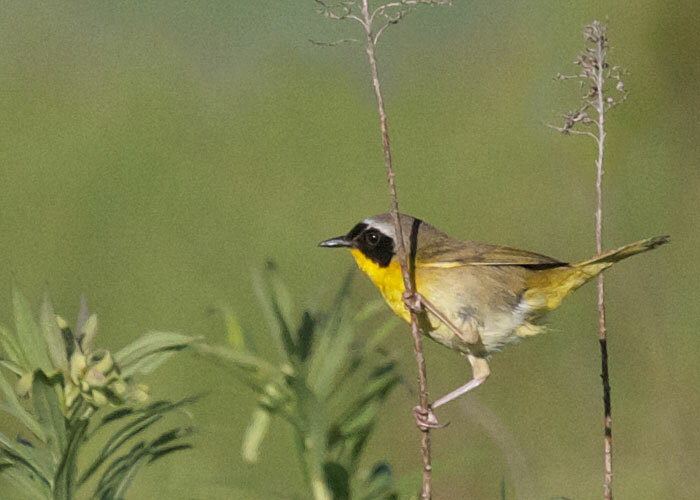 One of the most persistent summer songs is the common yellowthroat's. A languid Wichity-Wichity-Wichity, in fields and woods and streamsides. I recorded this warbler in an overgrown field. Listen. You can hear his song loudly twice, and then faintly the reply of a more distant yellowthroat. If you are looking at a common yellowthroat up close, or with good binoculars, you'll see the black mask and its white upper border.